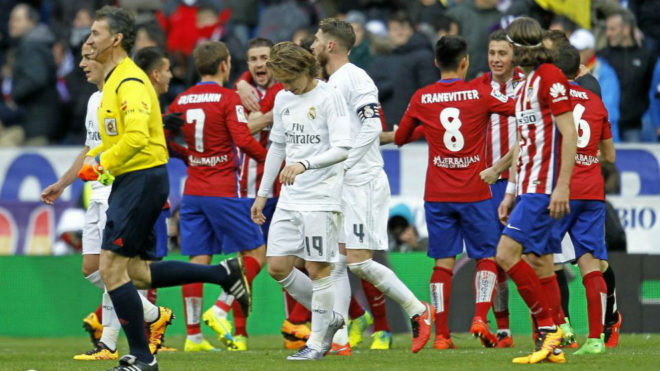 We are set for another derby clash in the Spanish league as Atletico Madrid welcome local rivals Real Madrid to Wanda Metropolitano on Saturday. Apart from being a game between two arch-rivals, tomorrow’s game is a must-watch for every soccer fans due to interesting questions that can only be answered during the game. These questions are revealed below…..
Will Alvaro Morata haunt his former club? The 26-year-old attacker returned to his boyhood club in January after experiencing another frustrating season at Stamford Bridge and he will hope to make things right under Diego Simeone. Morata spent three years with the Los Blancos (2014-2017) but he wasn’t rated by the Spanish giants. He was loaned to Juventus by Zinedine Zidane and he performed wonders with the Turin outfits. Despite his eye-catching performances for the Serie A giants, Zidane wasn’t convinced of his qualities and he decided to sell him to Chelsea two seasons ago. All eyes will be on him during Saturday’s encounter as many fans and pundits would want to see if his goals would condemn his former employers to defeat. Both players are in their best forms and they will hope to continue their goalscoring display during the game. 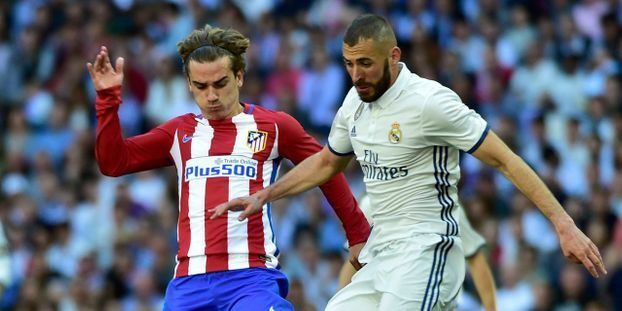 Kareem Benzema has scored 18 goals in all competitions this season, while his influence on the team’s current form has been likened to Cristiano Ronaldo’s during the Portuguese spell at Santiago Bernabeu. Considering his exploits in front of goal, bookmarker (William Hill) priced him at 17/10 (2.70) to find the back of the net at anytime of the encounter. The Frenchman is equally placed at 5/1 (6.00) to score the first goal of the day. Antoine Griezmann — just like his compatriot — has scored 10 La Liga goals this season, while he has 16 goals in all competitions. His form for Diego Simeone’s men is nothing but brilliant and he is tipped by many pundits and bookmakers to break the deadlock. According to William Hill, Griezmann is placed at 11/8 (2.37) to score at any time of the game. He is equally backed at 7/1 (8.00) to score a brace. A win for Santiago Solari’s men would see them move up to the second position and they will automatically be back in contention for the season League title. Should Atletico Madrid get one over their local rivals, they will cut Barcelona’s lead to just three points, depending on Barcelona’s result against Athletico Bilbao on Sunday.